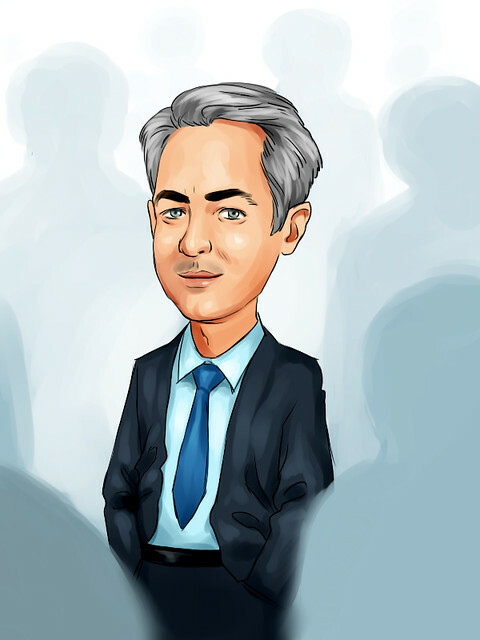 David Faber: thank you usually when I sit down with Jon Gray, we talk about all the macro kinds of things, given blackstone’s far reach around all geography and into all asset classes. We’ll get to that today. We’re at the plaza hotel because you’ve finished your first investment meeting in four years. Why four years go by is that a typical thing? Jon Gray: we’ve been busy. Faber: you’ve been busy. The stock is up, so you clearly did a decent job today what are the messages that you sort of wanted to try to impart four years from your last meeting, given the increases you’ve had in so many of the important metrics, but the lack of increase, frankly, in your stock price? Gray: yeah. So the message was that the firm is in terrific shape, driven by great performance. That’s the real foundation of our business delivering great returns we’ve done that across real estate and private equity and credit and hedge funds because of that, we’ve had big inflow. We had $120 billion capital come in just over the last year, a record we’ve got a record pipeline of $150 billion of assets going forward. When we look out, that’s translating into strong financial results. We told folks earnings are going to be accelerating going forward. Not only will they be accelerating, the nature of those earnings is changing the way they’re changing is, as we move more and more to longer duration vehicles, what we call perpetual capital, we get more fee related earnings, more predictable earnings we think the combination of faster earnings growth, more predictable earnings, steadier earnings, will give the opportunity for a re-rating of our stock. Which, as you said, has been a bit of a source of frustration for us. Gray: I think this is a process today was a really important part of that educate our investors, the research community, about the way the firm is changing yes, I think we got the message out there, that growth is picking up I also think we got an important message out that the firm has fundamentally changed. If you look back a decade ago, you’d say, this is a firm just really in private equity, real estate private equity, and it’s really expanded, broadened in the way of serving investors do it in all areas and the broadening makes this a more robust firm. Yes, from a valuation standpoint, when you look out and say we have the highest dividend yield of any of the 150 biggest companies out there, we traded a market multiple that’s a third lower than the rest of the market, we do say this is a heck of an opportunity as insiders, we own 50% of this stock. We’re totally focused on maximizing value. Faber: right some will say, well, one of the reasons you traded the discount is you’re not a C-Corp KKR as we know decided to move that way you continue to study it, but it is not something -- coming into this meeting, there were people who expected that would be the major news item. Why not say, we’re going to do that, as well, given what has been a positive market response to KKR’s move? Gray: we’ve definitely seen what’s happened to their stock and others, and we’ve been impressed we’re looking at it closely. We said, I think, on the board, actively considering this is an important decision. We want to be thoughtful we’d like to see sustained stock price performance. We’d like to see what happens in index inclusion. We’d like to see in terms of mutual fund ownership. It is something we’re open to, but we’re still studying. Faber: asset flows are so important, and it is something you, of course, focused on today perpetual or otherwise, the increase in AUM you’ve had versus your competitors. What gives you the confidence those kinds of flows can increase or continue at the rate they currently are? Gray: I would say the key thing, again, is performance. What we showed today was it didn’t matter if it was private eq equity, real estate, credit, or hedge funds. In all those areas, over long periods of time we’ve out performed the benchmarks, in over the last 12 months that’s what really drives flows. If you deliver for investors, they give you more capital the second thing I’d say about this is, the markets we serve are enormous the institutional market with pension funds and sovereign wealth funds, the insurance market, the retail market, there’s -- add up those three, $150 trillion. It sounds like a lot, that we have $440 billion of capital it is still a tiny percentage of those markets. That gives us a lot of confidence. Faber: you are talking about $1 trillion eight years out, if I remember from the slides. Gray: I think it starts with the idea that we look at all sorts of private asset classes we want to find great people where there is an interesting market opportunity, build a great investment process that’s what we want to do. When we think about life sciences, we say, here’s a market that needs a lot of capital. Big pharma, there’s some capital there, but I think there’s a need for more. Approval process is very expensive. There’s a royalty market that’s also very large. Traditionally, private capital hasn’t operated in scale here. We think it may be changing. We’re looking hard at it. Faber: does that mean you are actually going to launch something? Gray: I don’t want to tip our hat, but I think we are going to do something here over time I think we’ve signaled enough that it is a space we’re going into by the way, in our other areas, in private equity, we’ve made life science related investments real estate, we’re the second largest landlord with bio med in the life science office space. Faber: in the brief time we have left, let’s hit the larger macro things, given your view. You were in china recently I think the financial roundtable there a week or so ago has there been any change in your viewpoint in terms of the chinese response and/or sense as to the seriousness of the situation with this ongoing war? Really feels like it at this point, between the countries in trade. Faber: it keeps getting worse. Faber: it is not getting better. Gray: yeah. My optimism comes from the fact that it is in the party’s interest, that if we stop trading investment between the country, it wouldn’t be good there is a recognition on both sides that a rebalancing has to happen the question, is the degree and the pace of that rebalancing look at NAFTA as an example. There was a lot of tough, you know, headlines, three, four months ago today, that seems to be moving closer to resolution I think china will take longer I do not think it’ll be a straight line. In the fullness of time, yes, I think these things will be resolved. Faber: you don’t see it impacting your ability to do business at the point? Gray: not at this point despite the headlines and tension, U.S. Companies have continued to operate in china. That’s our hope going forward. Gray: I think the emerging markets are a bit of a particular case, in the sense that their dollar denominated debt, since the crisis, has gone up three-fold to $3 trillion as the U.S. Economy strengthened, their currencies come under pressure, making it harder for those borrowers to repay. Then their central banks to strengthen currencies raise rates, putting pressure on the economies. It is a tough cycle they’re facing today I believe think that necessarily signals we’re going to have a major challenge in the U.S could create banking issues for some of the more exposed financial institutions I don’t see a domino effect from that, causing U.S. Growth to, you know, go down sharply. We still see incredibly strong signs in the U.S consumer confidence, 18-year high, unemployment claims, 50-year low, small business confidence, the highest it’s ever been all the signs seem to point to more investment. 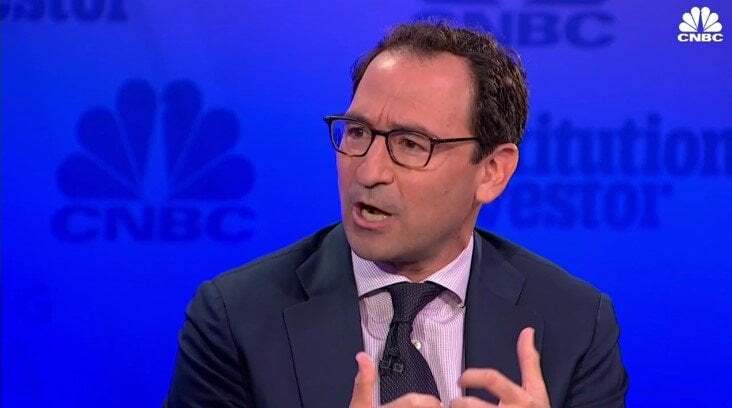 It still may mean challenges for values, given what may happen to rates, but in terms of economic activity, we’re pretty positive in the U.S.
Faber: finally, out there, if you want your kids to work at Blackstone, forget about it. They don’t, basically, accept anybody. I thought this was the most fascinating slide you had. 14,900 people apply to be analysts, and you take 86. Gray: 86 I said, thank goodness it’s not the case when I applied 27 years ago. It really speaks to the power of the firm, its brand, the quality and the talent we’re bringing in the doors. And as president of the firm when I look over 10, 15, 20 years, it makes me very positive about our company. Faber: all the friends of yours who call and want to get their kids in the door, forget about it jon, thank you, as always.